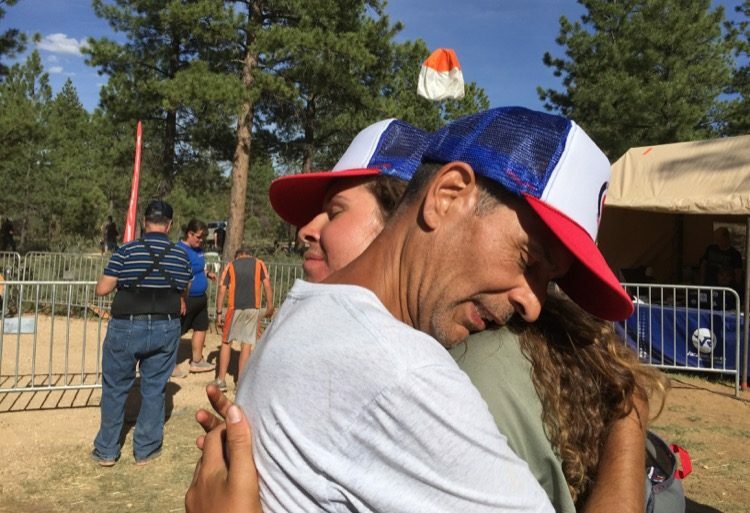 “Take one step,” was the mantra that got me through the 35 hours and 40 minutes of my first 100-mile race. I reasoned that if I focused only on taking one step in each moment, then the mind would be calm and the body would endure. I repeated that mantra as I looked up at the golden dawn on the second day of the race. During the night, hallucinations had begun in full force and I ceased being able to distinguish what was real and what wasn’t. My headlamp’s circle of light was my entire world and I realized any figures, shapes, or ‘people’ beyond that simply were not real. Everything hurt; running became a walk. I wondered how I was going to finish, but knew I would. 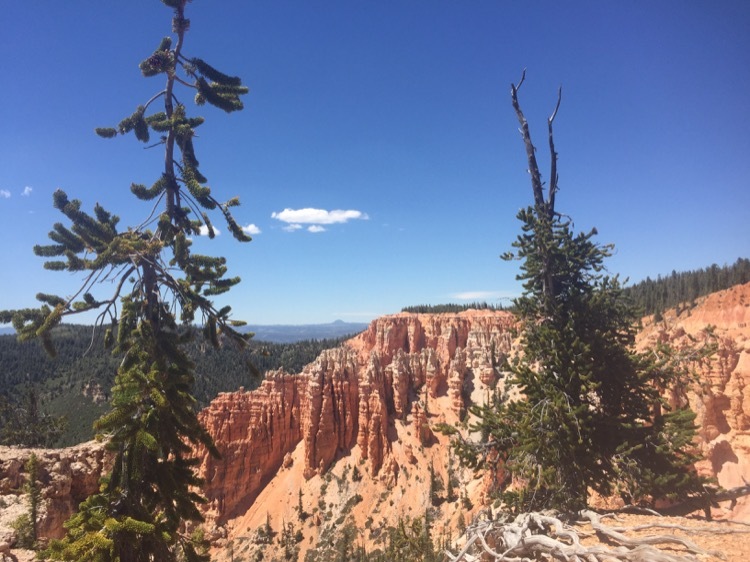 At 18-years-old on June 16, 2017, and as my high school graduation present to myself, I stepped up to the start line of the Bryce Canyon 100 with full confidence in my training and my ability to finish. Adrenaline and ego fueled me, with a conviction that a 24-hour finish was almost certain. Boy was I wrong. My stomach excruciatingly rebelled and the hoodoos turned the oven on. 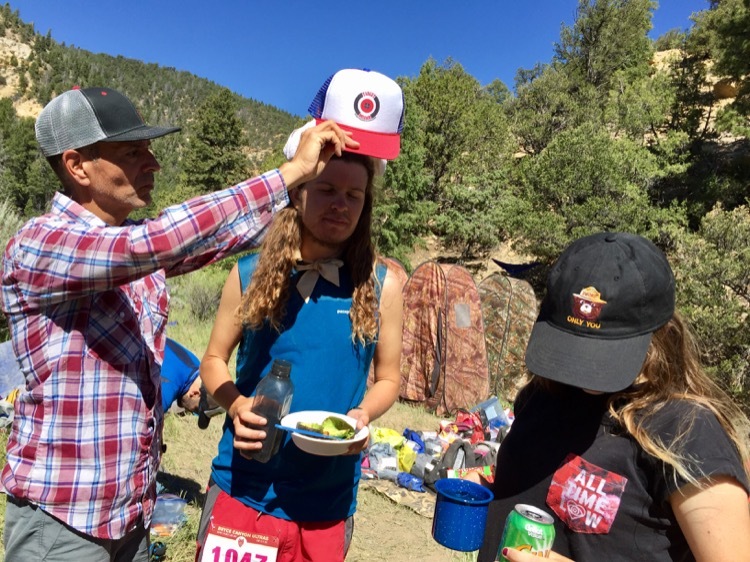 After my crew helped the stomach issues, the heat and ascents of the next 22 miles threw any notion of a 24-hour finish out the window. People dropped like flies at this race, but for me this race was my evolution. What reflects back to us in the mirrors of our past frightens us, but I used the obesity and nonfulfillment of my past to fuel me. As I climbed and descended, I was acutely aware of who I was before and what I had forged myself into – being able to run 100 miles. After the skyscraper-high behemoths of stone around mile 51, I headed back on the mountain. The darkness blanketed any vistas but the silence was its own beauty. I grabbed warm clothes and food at mile 62, the last time I’d see my crew. Those nighttime miles where agonizingly slow going because I felt so drained and mentally lost. At one point in my life, the world seemed like it wasn’t enough. I sought fulfillment through screens. I realized that night that the screens I was once addicted to were doors into imaginary worlds, but now my headlamp’s light was a doorway into the reality of my own suffering. The headlamp world led me into a new day and a familiar enemy: the heat. Making my way to the mile 84 aid station where my crew was unable to meet me, I entered a very dark place. The course took twists and turns that were not the course we took on the way out, and the unknown made me want to tear my hair out. Thankfully, the beauty of the high mountain trail’s aspen groves and alpine meadows kept me sane. Finally, after cooling down at mile 84, I was able to power hike the next section. The top of my left foot and shin became overwhelmingly painful. I kept constant forward progress, using the act of walking to stretch my foot. Due to hallucinations and lack of water, I thought I had seen the last aid station about 20 different times as I made my approach. When I finally did reach it, water and food were all that I wanted in this world. Due to my foot issue, I mainly power hiked the last section. With no pacer I was grateful that my dad came out to run the last two miles with me. Before I reached him my sanity was frayed, but once I saw him I knew I would finish the race. With severe cottonmouth due to lack of water, we took off fast to finish the race in time. I left the canyons behind as Marilyn Manson roared, “You can’t see the forest for the trees,” down the last descent to the finish. I rounded the corner making sure to leave everything out there as the crowd erupted in cheers, leaving me to understand that to transcend your past, you must know yourself in the present. What a wonderful race report! Huge respect on your finish!